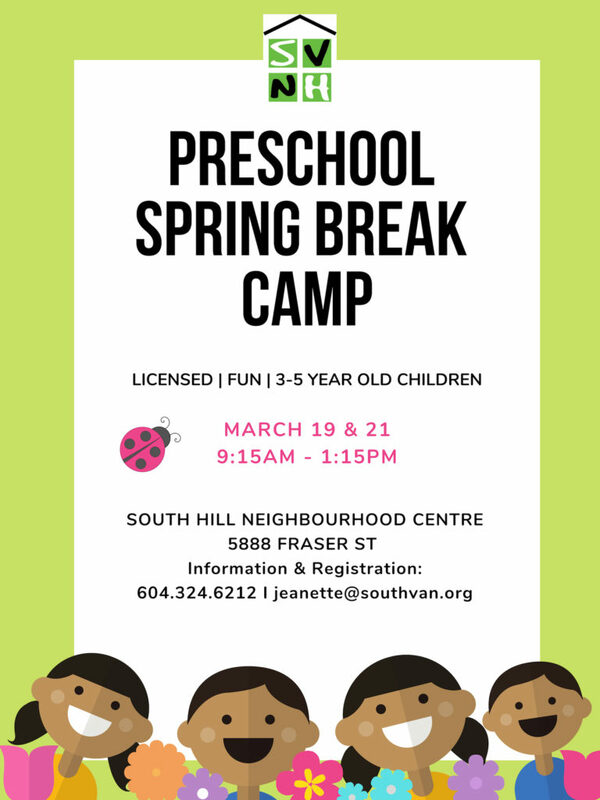 South Vancouver Neighbourhood House is offering a new two day Preschool Spring Break Camp at South Hill Neighbourhood Centre. Children will be exploring fun themes and engaging in variety of fun indoor and outdoor activities. Fee includes guest instructors and out trips. Spaces are limited so register today at 604.324.6212 or jeanette@southvna.org.